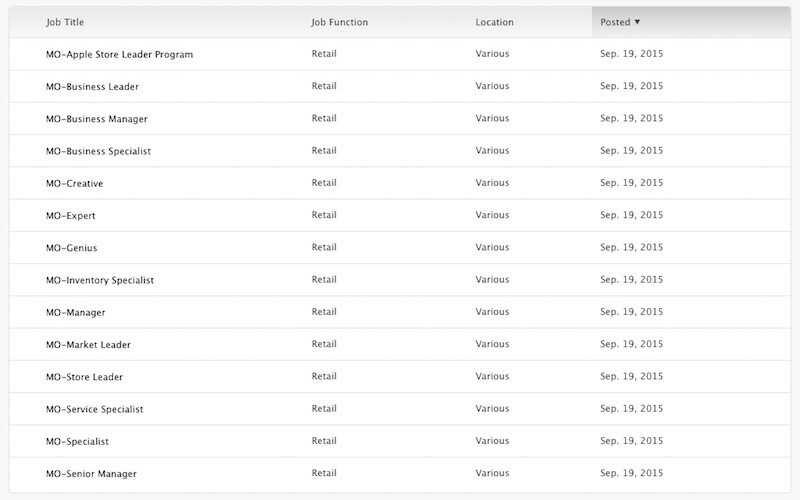 Apple has posted several job listings today for an upcoming retail store in Macau, a Special Administrative Region of China. 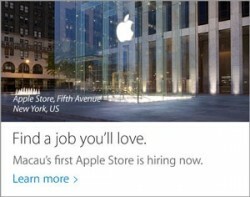 The store is looking to fill Specialist, Creative, Genius, Store Leader and Manager positions, in addition to hiring for the Apple Store Leader Program and multiple business-related positions. Chinese-language newspaper Macao Daily reported in June that Apple is planning to open a flagship store in Macau, which is located across from Hong Kong, but the news went largely uncovered by mainstream media. At the time, the report claimed that Apple had not finalized a location for the upcoming store. Apple celebrated the grand opening of its Apple Store in Brussels today, while two new Apple Stores also open in Nanjing, China and Florence, Italy today and September 26 respectively. Apple now operates over 460 retail stores worldwide. Macau being one of the world's richest cities ('https://en.wikipedia.org/wiki/Macau'), you might be compensated very well tho. No one really speaks Portuguese anymore in Macau, so no worries. Still a small population of Portuguese speaking Macanese you may encounter. Though they can speak fluent Cantonese or English, talk to them in Portuguese are definitely benifitial. :-). Yup, no worries. Apart from legal or formal governmental issues, this is the popularity of language in Macao : Cantonese-Mandarin-English-Portuguese . The Macao Apple Store is under construction/decoration, located in the Galaxy Mega resort Phase II. The construction includes a structural modification to the floor slab (to accommodate Apple signature glass staircase), so the construction took a bit longer than the other shops (those opened in May 2015). BTW, Macao is a fine place to live and have good people to make friend with (and fine food of course!). (I am from Hong Kong...:-) ).